Over Christmas, my family went to Mass, and in the church vestibule, there was a table stacked with books. People were encouraged to take a free copy, so I did. 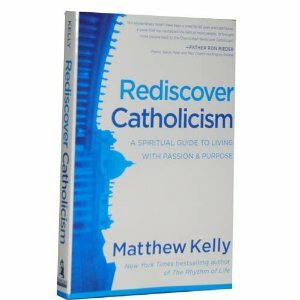 I recently got a chance to read it - an inspiring, fascinating book called Rediscover Catholicism: A Spiritual Guide to Living with Passion & Purpose by Matthew Kelly. When I picked up this book, I wasn't sure if I would like it or even read it all the way through. By the time I finished, I wanted to share it with as many people as possible. If you are looking for a great book to read this Lent, I highly recommend it. The overall theme of the book surrounds our common desire for true happiness. (Isn't being truly happy what we are all seeking?) 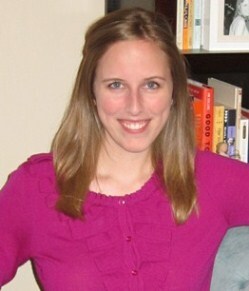 Throughout the book, Kelly provides ideas, examples, and tools to discover the true essence of what it means to be Catholic. In today's world, there is a lot of doubt about religion. (Even in writing this, I'm not sure how many people will even choose to read this post since it has to do with religion and faith...) Catholics themselves are questioning their faith and the role of the church. Yet so many of us are still looking for authenticity and purpose. Kelly points towards Catholicism as the answer... and backs up his points with insightful support (and impactful examples!). Rather than regarding Catholicism as a religion, Kelly poses it as a lifestyle, a quest for transformation of each individual into "the-best-version-of-himself or herself." He describes holiness as the goal of the Christian life, something so many have lost sight of. We are called to live a holy life and become the best versions of ourselves. With the saints as examples, we can learn how to lead such a life. By identifying a singleness of purpose - the one goal that can penetrate everything we do - we can succeed. He notes that our lives will change when our habits change, when everything we do works towards the goal of holiness. Kelly does not leave out the reasons people have moved away from the church or view it in a poor light. But as one part of the solution, he calls each of us to find passion and purpose, which in turn will positively affect the church and its community. As tools for us to use, Kelly maps out the "seven pillars of Catholic spirituality," breaking each one down into simple steps and pieces of information. I have not turned to some of these in a long while because I have been wrapped up in the day to day, forgetting that these experiences and objects are there to help me along the way. Over the years, I have found excuses why these seven pillars don't make sense, don't fit into my life, aren't necessary. With every reason I thought of not to utilize these tools, Kelly supplies the reason to use them. I came away from reading this section feeling inspired - and confident that I had a support system, tangible things to reference for education and inspiration. I also loved that a quote from Letters to a Young Poet was included in a section about how questions are an important part of the spiritual journey. "Be patient toward all that is unresolved in your heart and try to love the questions themselves like locked rooms and like books that are written in a foreign tongue. Do not now seek the answers, which cannot be given to you because you would not be able to live them. And the point is, to live everything. Live the questions now. Perhaps you will then gradually, without noticing it, live along some distant day into the answer." Now is the time for change - on a personal level as well as a larger one. The way we live not only affects ourselves but the others that we come in contact with. How do your thoughts and actions make you a better person? How do you serve as an example for others, encouraging them to become the best versions of themselves? * For more information, visit the Dynamic Catholic site. This sounds like a fantastic read. I'll have to add it to my list of things to do/read for once work slows down.